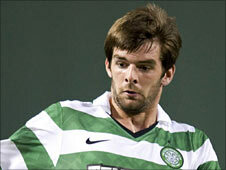 Celtic striker Cillian Sheridan has signed a three-year deal with CSKA Sofia after passing a medical, ending his four-year stay in Scotland. Sheridan, 21, was a recent guest of the Bulgarians at their derby match against Levski Sofia and returned home to make a decision about his future. The Republic of Ireland cap was on loan at St Johnstone last term and had also been loaned to Motherwell and Plymouth. He has twice been capped by his country after graduating from the Under-21s.